Join us for a weekly bush and beach playgroup program (8 sessions) where families gather to enjoy all the benefits that nature has to offer. We provide a gentle rhythm to our facilitated playgroups with a focus on sensory play, storytelling, song, craft, learning, unstructured play and plenty of opportunities to build gross motor skills through climbing, balancing and movement. Our Newport Lakes playgroup is run by Kirsti, an experienced early childhood educator who has extensive experience working with children and supporting families from diverse backgrounds. 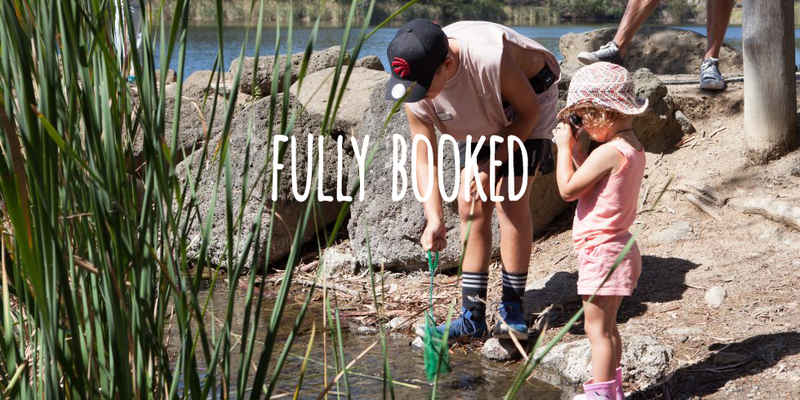 It’s the perfect inner west – city location for our bush playgroup as it’s home to an abundance of birdlife with its beautiful wetlands and lake. Playgroup allows parents to disconnect from their busy lives (and technology) and re-connect with their child in nature. This time is as much for you as it is for your child. Our playgroups bring together a community of like-minded parents who understand the benefits of . The sessions are relaxed and completely child led and parents are encouraged to follow their child’s lead. Bush playgroup is an all weather outdoor playgroup so you need to make sure you bring appropriate weather protection and clothing. Children and adults must wear closed footwear when walking in the bush, sun hats, sunscreen, wet weather gear, plenty of snacks and water and even a change of clothes for those muddy play days! Our playgroup will only be cancelled in the event of an extreme weather warning; fire, storm, high temperatures and strong wind.